‘Woman’s Day’ magazine chose to celebrate International Women’s Day, March 8 by recognising nine inspiring women, including former Bingara girl, Mrs Bec Hourigan, daughter of Mrs Louise Faint of Bingara. 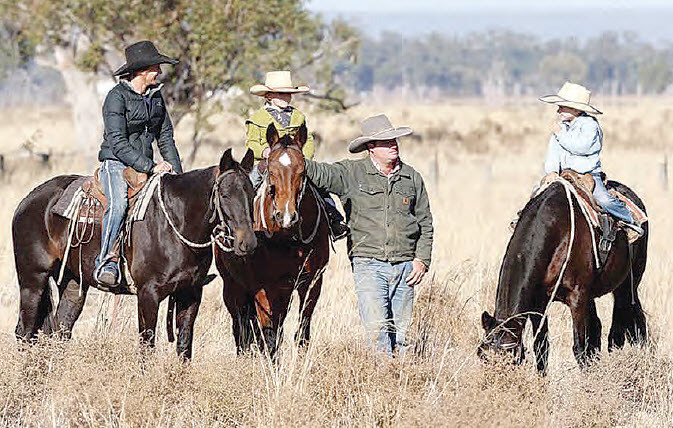 This amazing young woman has spent many years travelling stock routes in NSW while being mother and teacher to her two small daughters, Tori, 6 years, and Sienna, 4 years old. Bec, on her own, moved 900 head of cattle, day by day, for two long years, chasing feed and water. A 60 Minutes team stayed overnight to produce a story they named “The Long Paddock”, giving an insight into a drover’s life in our country. Bec’s husband, Justin, stayed at home to continue his job as a livestock manager. Life on the land experiencing the worst drought in fifty odd years is a daily struggle, as many will attest.